Look what just dropped! 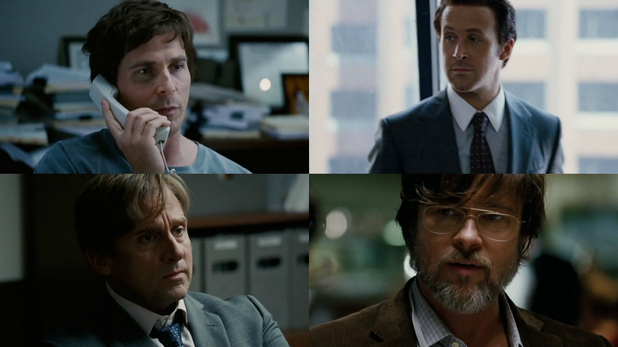 The first trailer to The Big Short starring Christian Bale, Steve Carrell, Ryan Gosling & Brad Pitt. 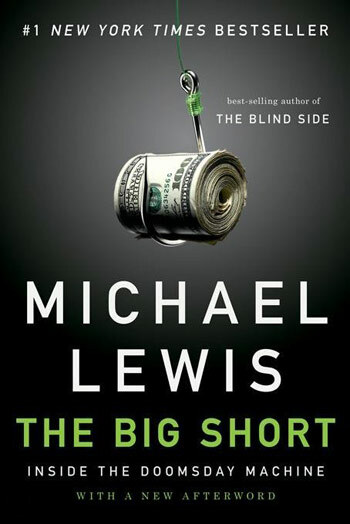 The collapse of the financial system was just awful. The country is still recovering. People lost their homes, their life savings. It was horrible. Horrendous. The only thing more horrible just might be the hairstyles the normally handsome actors sport. And I for one, am bummed out. I was hoping for good-looking; what we’ve got is what appears to be a wildly comic send-up on the financial genius’ who took the system down with their greed and they all look like a bunch of doofuses. Doofi? I first wrote about the movie back in April, the piece includes images of the real life sleaze balls each actor plays, and I have to say, they nailed it! Bale has Michael Burry’s ‘super cut haircut’ and Gosling looks goofy as the dark-haired Greg Lippman, the guy who saw it all coming. Director Adam McKay, the funny man behind Anchorman and Step Brothers has worked fast and furious with the film set to come out this winter. We’ll get a limited release Dec 11th, with a wider rollout sometime after that. I’ll have to watch this trailer a few times, get the crazy hairdo’s out of my head before making judgement. What about you?